Welcome to the world of Luke Baby Care Kids theme. 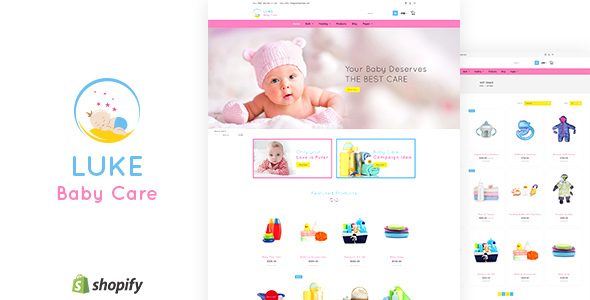 Luke Baby Care is the latest Shopify theme for Baby Care and Kids niche. Designed by the Elite author, Designthemes, Luke Baby Care is designed after extensive research in e-commerce themes for baby products. Luke Baby Care Shopify theme Offers a Homepage, About us page, Blog section, Shop and Contact us page in spectacular color combination to attract the visitors to your site.